The Traeger Company makes grills and the wood pellets you burn in them. These wood pellets are made from compressed biomass such as sawdust. The wood from which the sawdust comes is untreated and food-safe. You can also burn Traeger pellets in heating appliances such as pellet stoves and pellet basket inserts for fireplaces. You light Traeger pellets the same way you would light other brands of wood pellets. 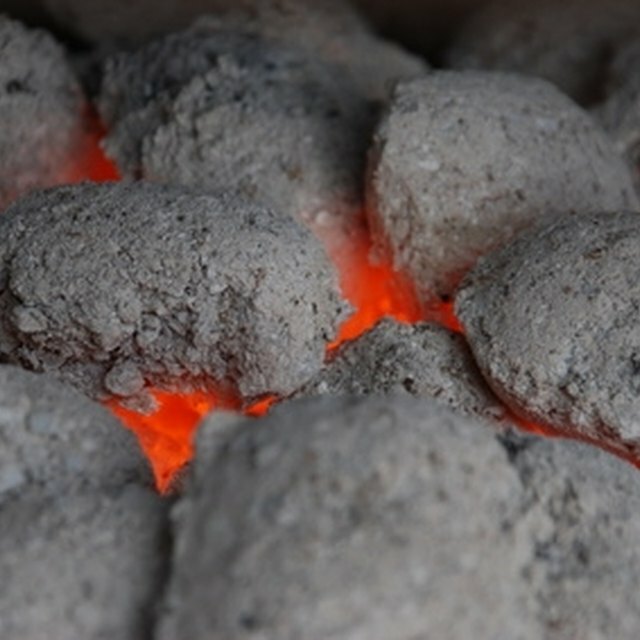 The grill or appliance should be set up with proper ventilation before you light the pellet fuel. Use alcohol gel starter to ignite Traeger wood pellets. Read the instructions for the appliance in which you are burning the Traeger pellets. Some appliances have automatic starters. If so, follow the manufacturer’s directions to light the pellets. Fill the hopper or firepot with the recommended amount of Traeger wood pellets. For example, Traeger recommends ½ cup of pellets for its grill firepot. Pellet stoves and basket inserts will have different recommendations. Pour approximately 2 tablespoons of gel alcohol starter on top of the Traeger pellets. Light a long match and touch the flame to the starter to ignite the pellets. You can also use a fireplace lighter.